Providence Place is a 45-bed skilled nursing and rehabilitative care center located on the campus of Providence Medical Center. Providence Place offers a skilled and intermediate level of care to meet residents' needs, for a short-term (less than 30 days) stay. Residents enjoy a home-like atmosphere where the focus is on the individual. 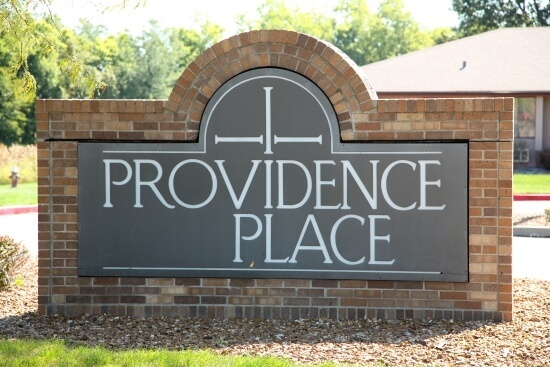 Because of our proximity to the Medical Center, Providence Place is able to offer residents more medical resources for their care as well as emergency services, if needed. Care that includes rehabilitative, restorative and skilled nursing for short-term and intermediate needs. Our highly trained care-givers include licensed nurses on duty 24/7. Our experienced nurses, in addition to a dedicated Medical Director and 30 physicians who participate in patient care with routine visits, work to restore residents to their maximum level of independence and hopefully back home.